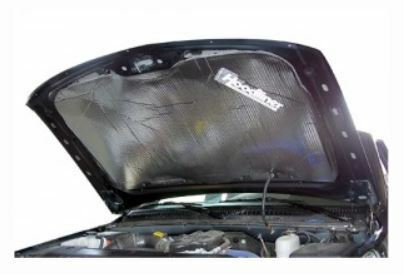 The Hoodliner is made from 3/4″ acoustic sound soaker foam with a reinforced, reflective aluminized skin. 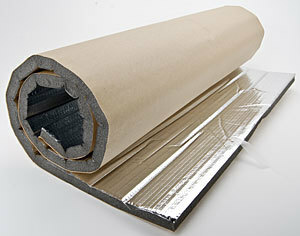 The aluminized skin is cleanable, oil and water resistant and provides 97% heat reflection. The Hoodliner has a high-tack pressure sensitive adhesive for easy peel and stick application. The effectiveness of acoustical foam is dependent on its ability to convert sound waves into heat energy. 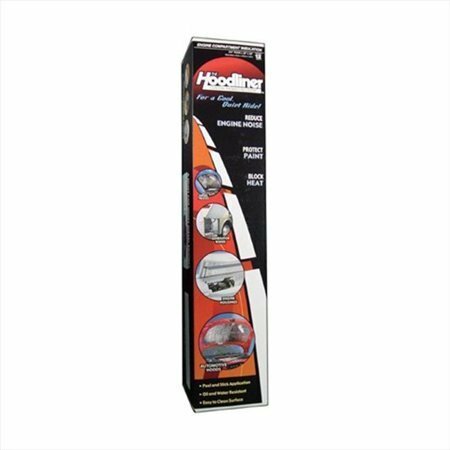 The Hoodliner has a combination of open and closed cells to accept sound waves and dissipate them. If all of the foam cells were open, sound waves would simply pass through. Conversely, if all of the foam cells were closed, few sound waves would be absorbed. The Hoodliner’s acoustic foam is cast in sheets, achieving consistent resistivity levels throughout the foam. Thus, maximum sound absorption is assured. 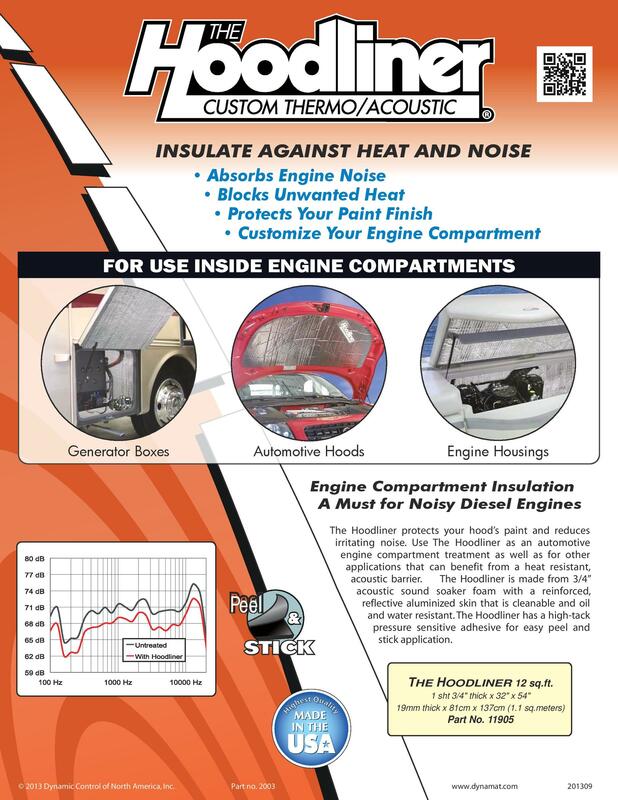 Common uses of The Hoodliner include truck and automotive hoods, engine compartments, generator housing and anywhere else that requires heat resistive acoustical foam. 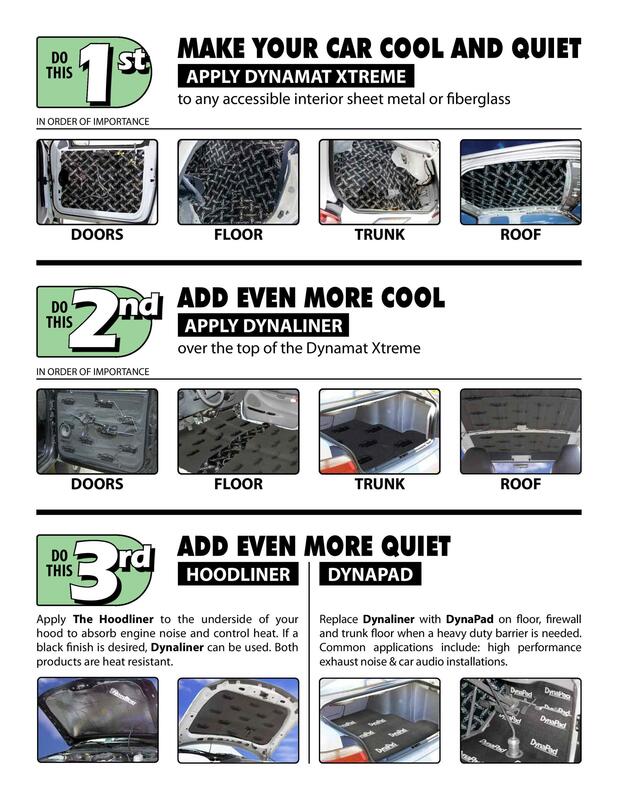 Adding The Hoodliner to your diesel truck can significantly reduce the engine noise heard inside the vehicle. Same goes for your boat’s engine compartment or your RV’s generator box. For even more acoustic control, we recommend installing The Hoodliner on top of Dynamat Xtreme.